The Gasgale Crags fall away steeply to the valley below where the noisy torrent of Gasgale Gill eats its way deeper and deeper into the bedrock. 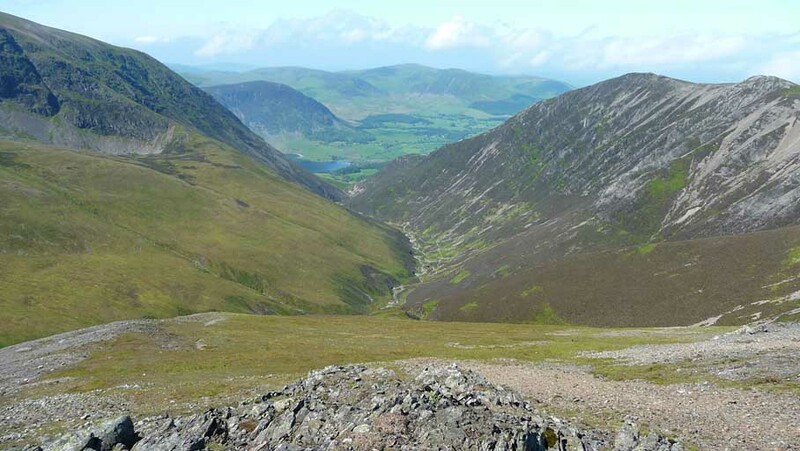 The slopes of Grasmoor are to the left and Whiteside to the right. The northern summit of Mellbreak can be seen beyond Crummock Water with Gavel Fell, Blake Fell and Burnbank Fell to the right. Smaller version of this picture.